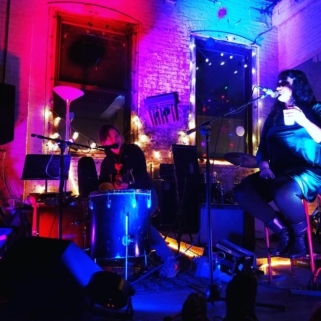 Bring the kids and settle in for rollicking sets from Audrey Ryan / Karina, Eastern Mountain Time (VT) and Chesty Rollins (NH). All ages, $7-10 suggested donation. Audrey Ryan is a Boston area enigma: a multi-instrumentalist, (often-) one-man-band, looping, singer-songwriter, joined for this show by Karina. Chesty Rollins is the new solo project of Charlie Chronopoulos, a singer/songwriter from Peterborough, NH.